Hi everyone!! Everyone of us would want a skin complexion that is free from those unwanted hair. A lot of us use bleach creams for that. I have this new bleach cream with me from the brand Astaberry. I have used some of Astaberry’s products so far and trust me for the price they come at, these products were promising. 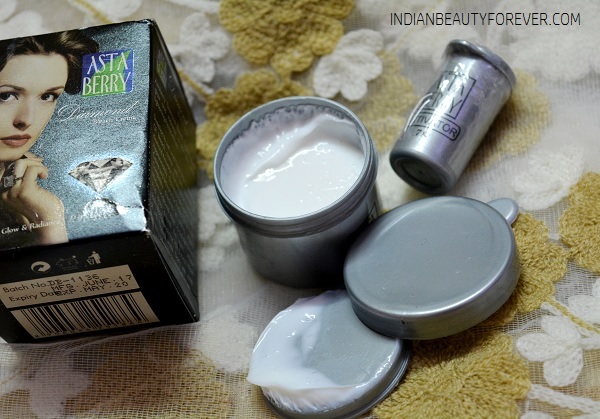 Today, I will share a review on this Astaberry Diamond Bleach Crème. I have used this twice now and can judge the pros and cons better now. So, let’s get to know this diamond bleach cream. 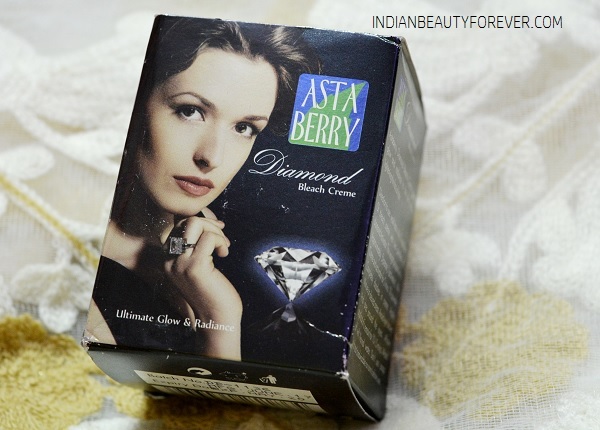 About the product: Astaberry Diamond Bleach Crème enhances the skin glow while lightening the facial hair. Added with the richness of diamond, it provides peel treatment to the skin and gives a youthful radiance. Moreover, it reduces aging spots, acne scars and sun-damaged skin while improving the skin complexion. Price: Astaberry Diamond Bleach Crème is available in a jar of 35g for Rs. 75/- only and the products are available at all leading departmental and online retailers across the country. 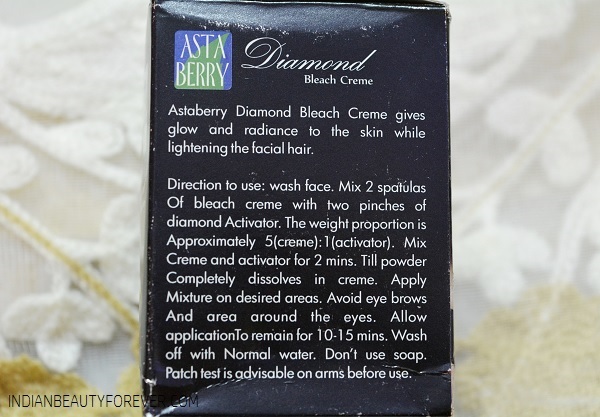 How to Use: Astaberry Diamond Bleach Crème works as an instant skin bleaching agent when applied with 2 spatulas of its crème along with two pinches of diamond activator. The facial glow appears within 10-15 minutes and the lasts for 20-25 days. This diamond bleach cream is packaged in a carton with a grayish colored tub of cream bleach inside. It also come with a spatula and a powder activators all bottle. The procedure of application is also the same. Just like we use any other bleach cream, similarly this has to be used. I have used it twice and using it was hassle free. First of all I take all my hair back and would clean my face with regular face wash and water. Then I pat dry the face and prepare the bleach mixture. Mix 2 spatulas of bleach cream with 2 pinches of diamond powder activator. 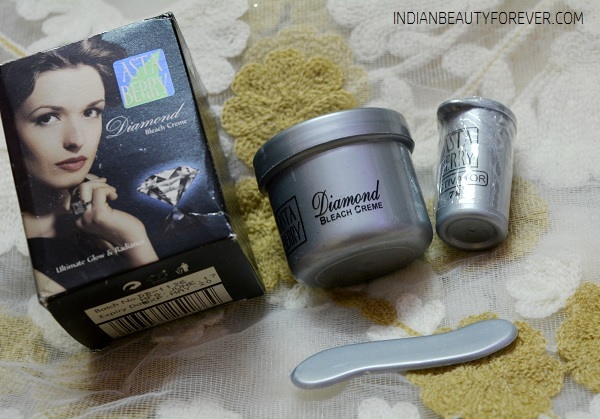 It is the diamond ash or bhasma that is being used in these diamond bleach creams by the way! I will mix everything with my clean finger for around 2-3 minutes so that the granules in the powder activator are dissolved completely. I will then apply the cream all over the face and neck. Then will wipe off using a tissue paper after 15 minutes. My complexion is fair so for men, 15 minutes is fine. If you are wheatish to dusky keeping your cream bleach for 10-12 minutes would be fine. Post usage, I feel that the hair have got lightened and matched with my complexion which makes them get vanished in a way. Skin appears cleaner and clear. I like that this is very inexpensive and does its work of bleaching the facial hair perfectly. There was no unpleasant thing that I faced while using this as it was just like most of the cream bleaches but yes, the face speared smoother and it does remove the blackheads too by softening them a bit. So that later on we can scrub them ouT.